LeBron James Arrived to Game 5 In the Nike LeBron XI "Watch the Throne"
Even though he almost never wears his LeBron XI or the Elite upgrade of the XI on the court, LeBron James still can make up for it in his off the court wear. 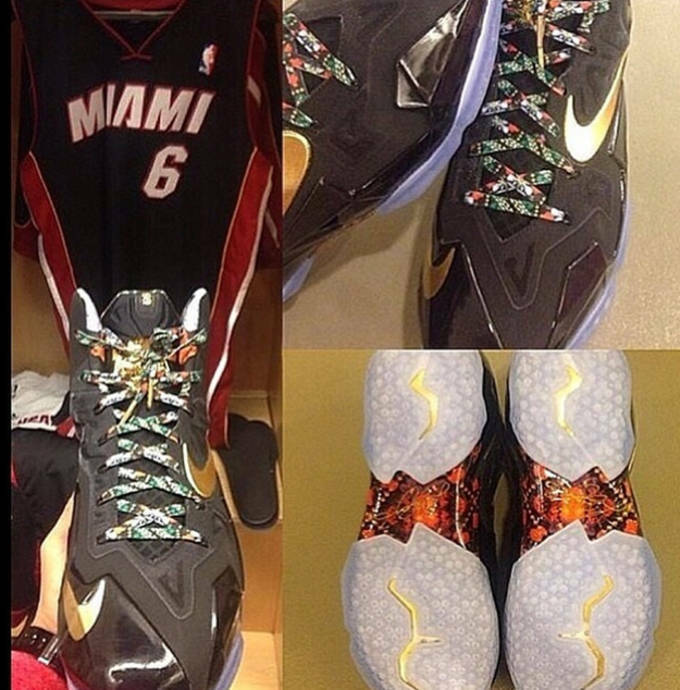 James wore the Nike LeBron XI "Watch the Throne" in his arrival to a Game 5 matchup against the Indiana Pacers. The series is 3-1 with the Heat having a chance to eliminate the Indiana Pacers on their own home floor tonight.